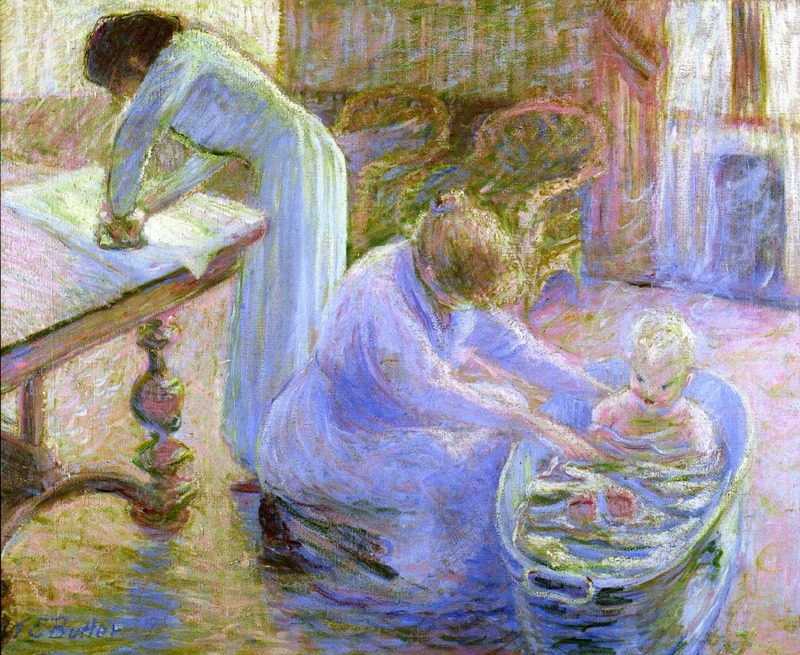 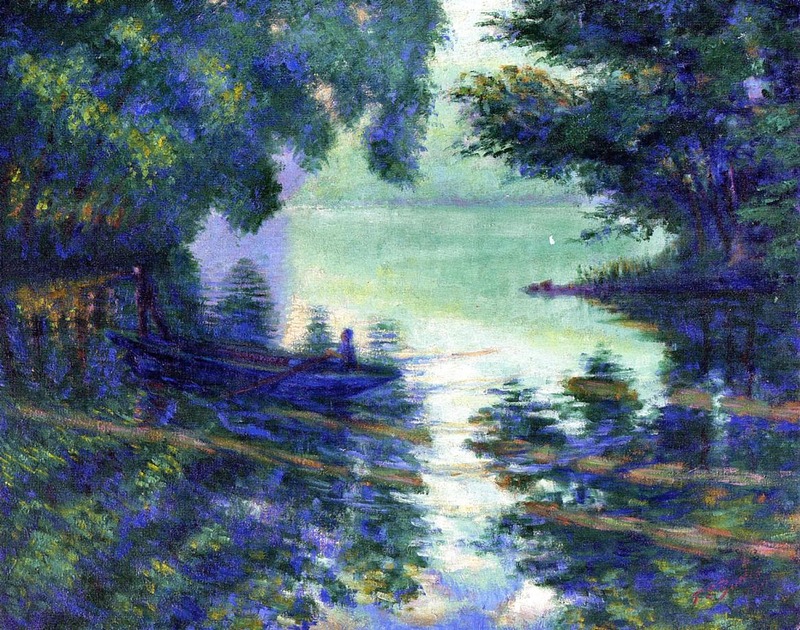 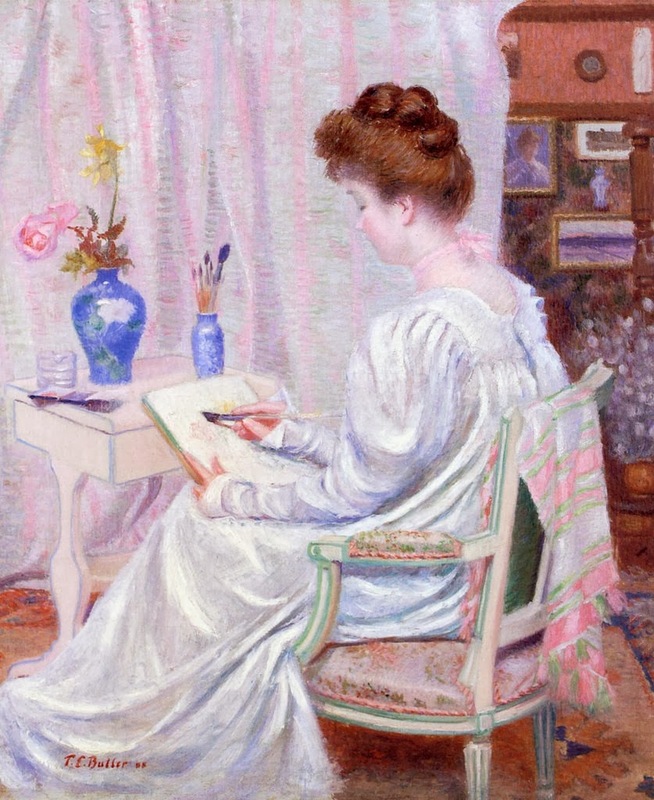 Theodore Earl Butler [1861-1936) one of America’s most innovative Impressionist painters, did not receive the recognition he deserved in his lifetime, since he was all but eclipsed by his famous father-in-law, Claude Monet. 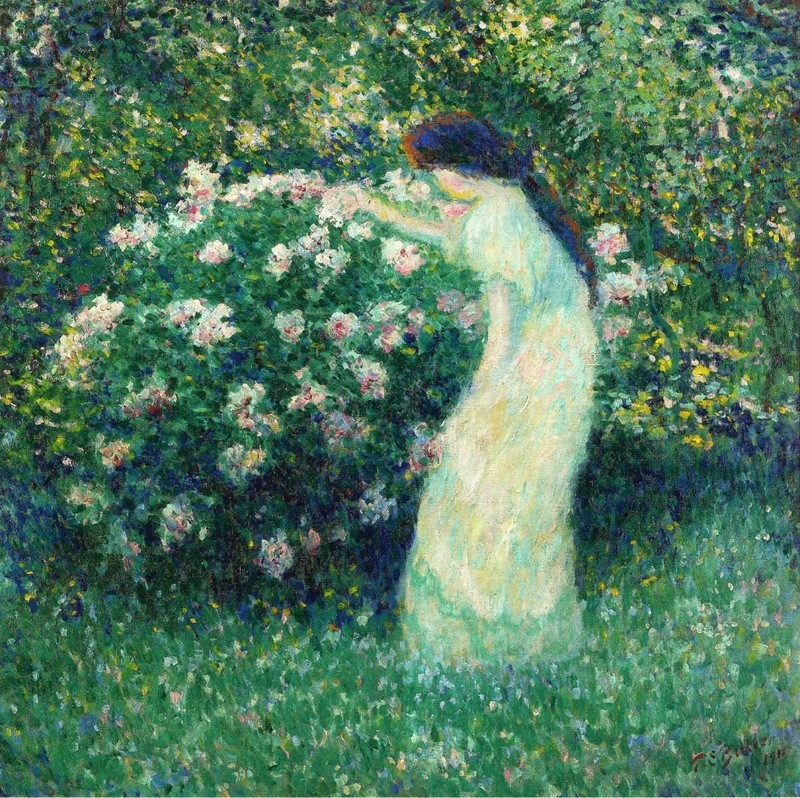 Born in 1861, Butler enrolled in the Art Students League in New York, then continued his studies at various art academies in Paris. 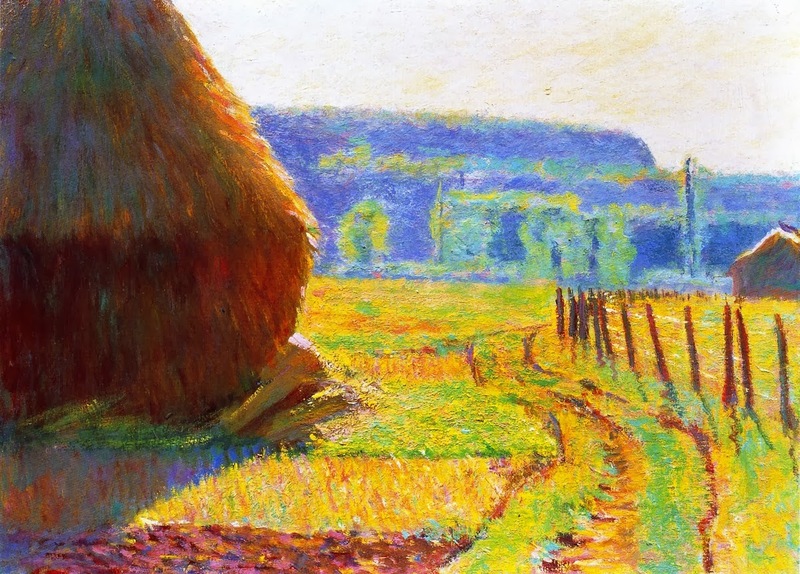 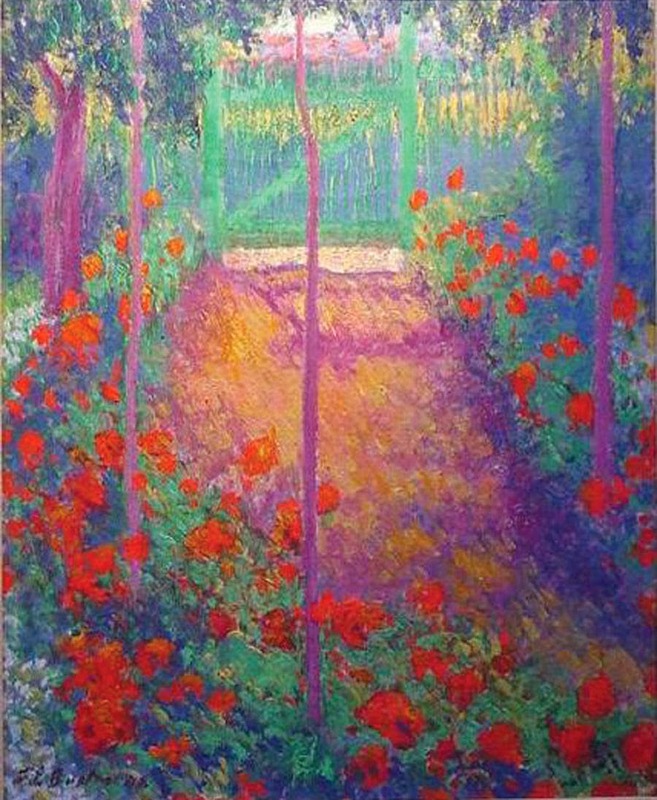 He first traveled to Giverny in the summer of 1888, the village that was to become the Impressionist artists’ colony. 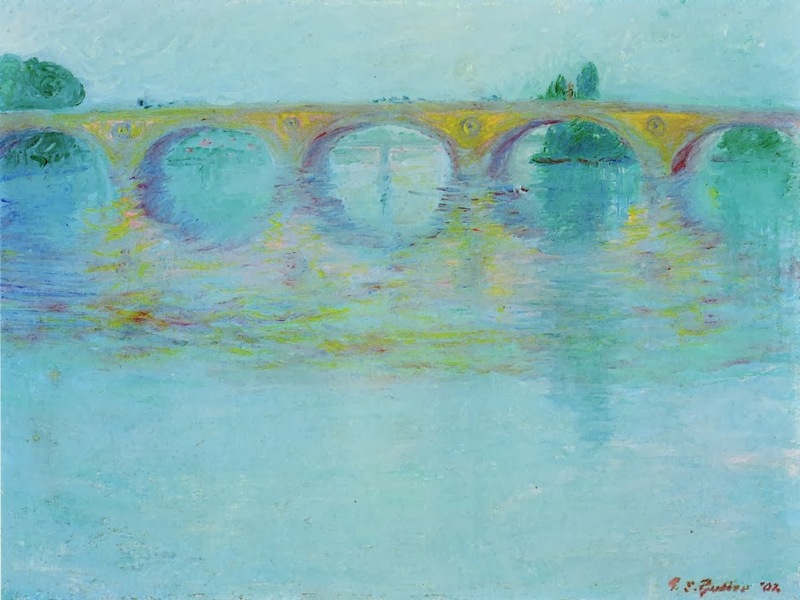 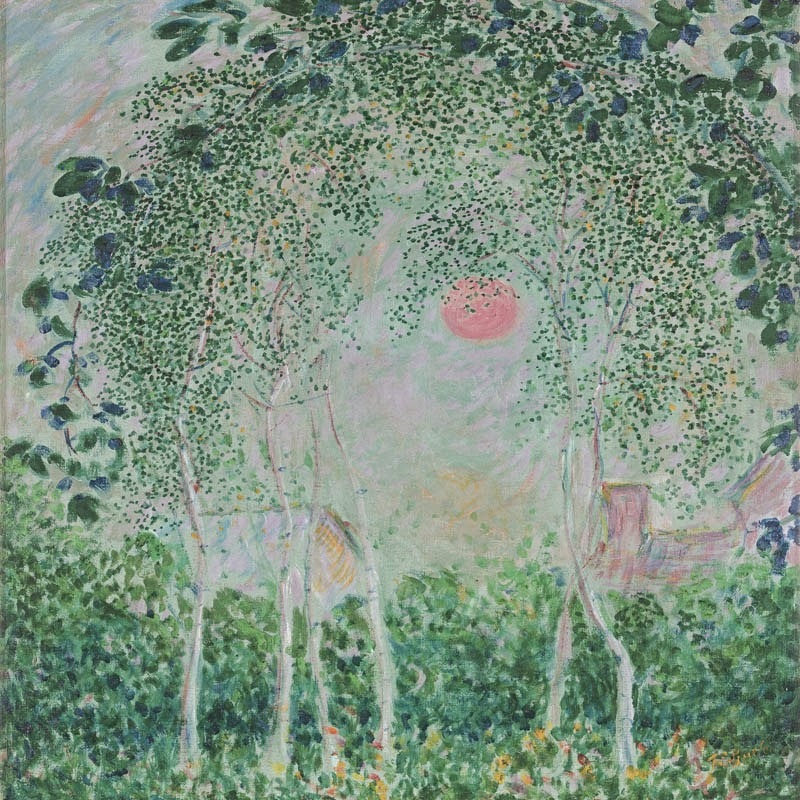 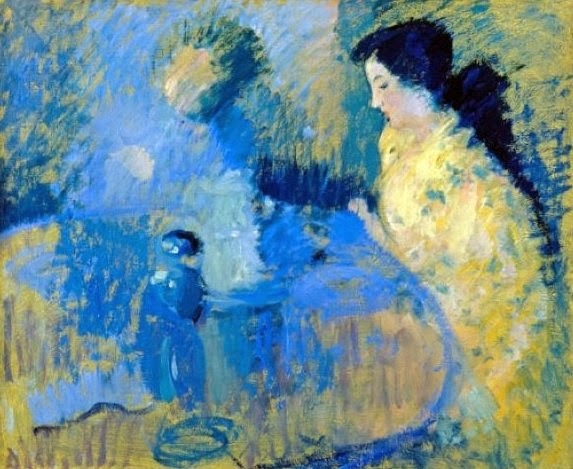 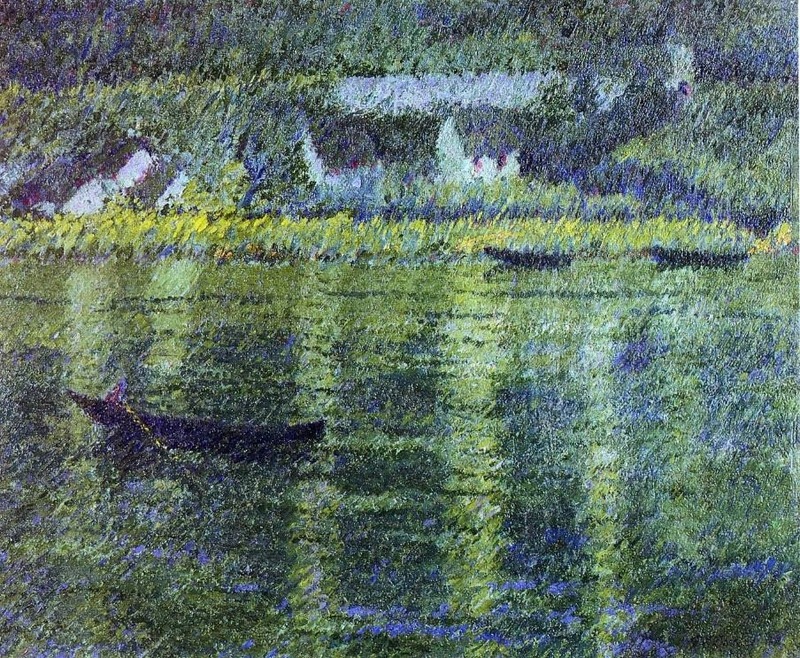 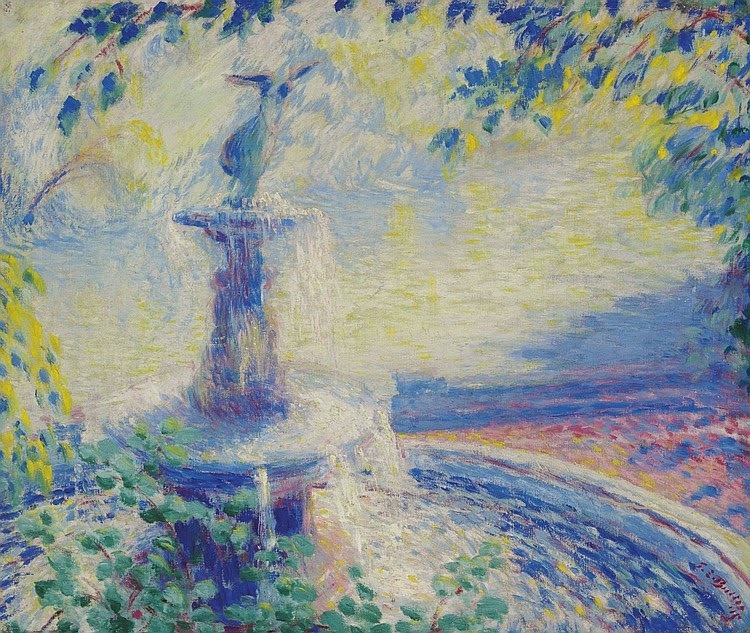 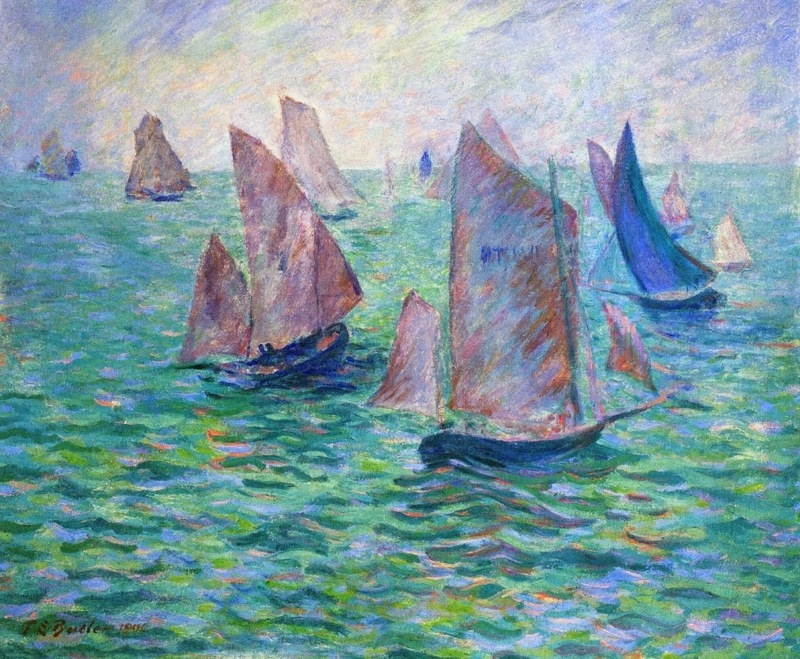 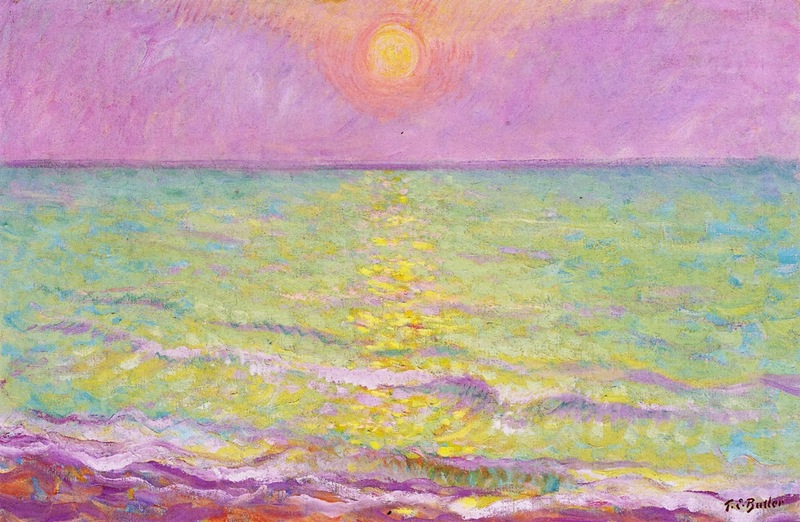 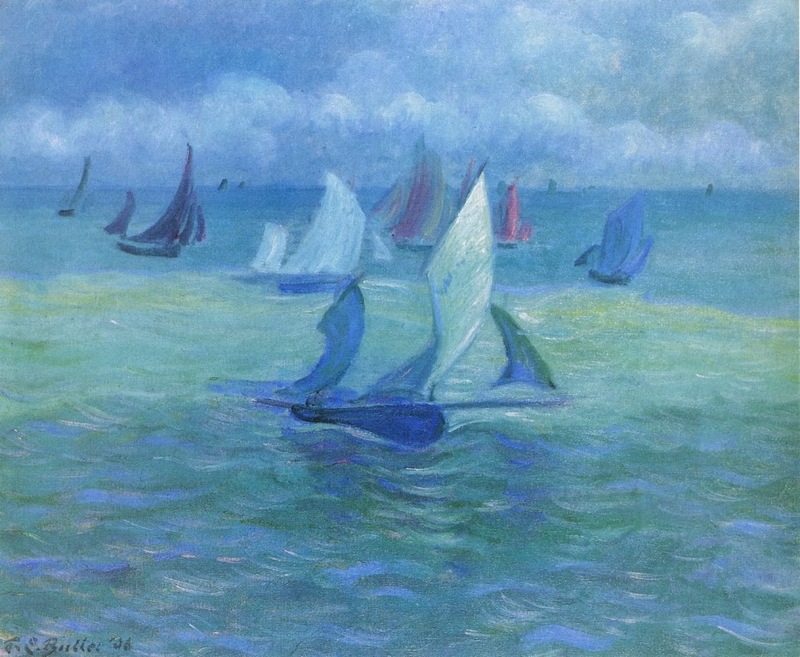 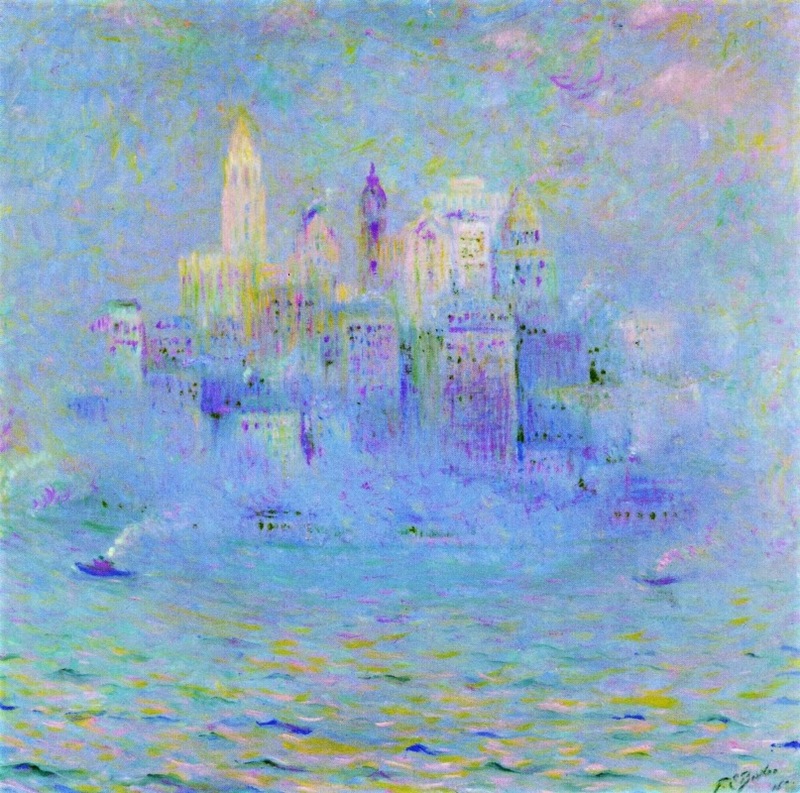 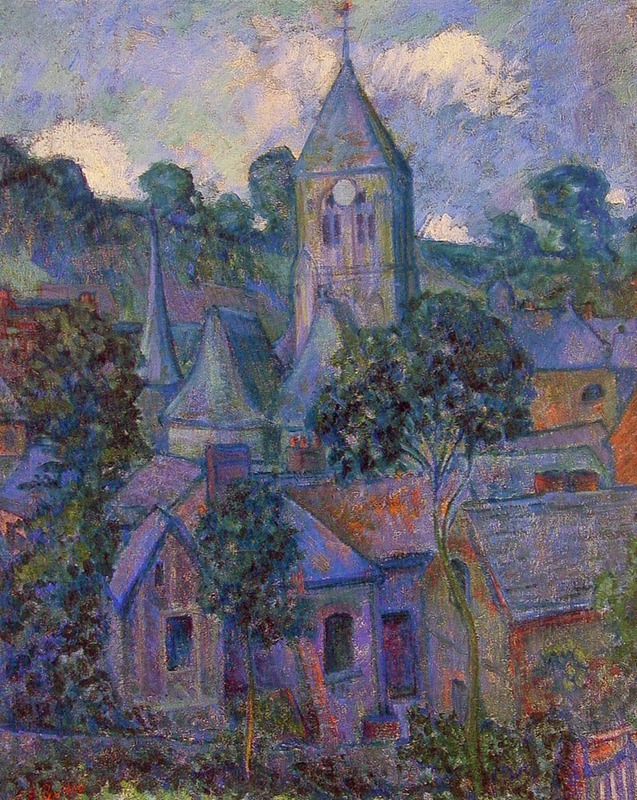 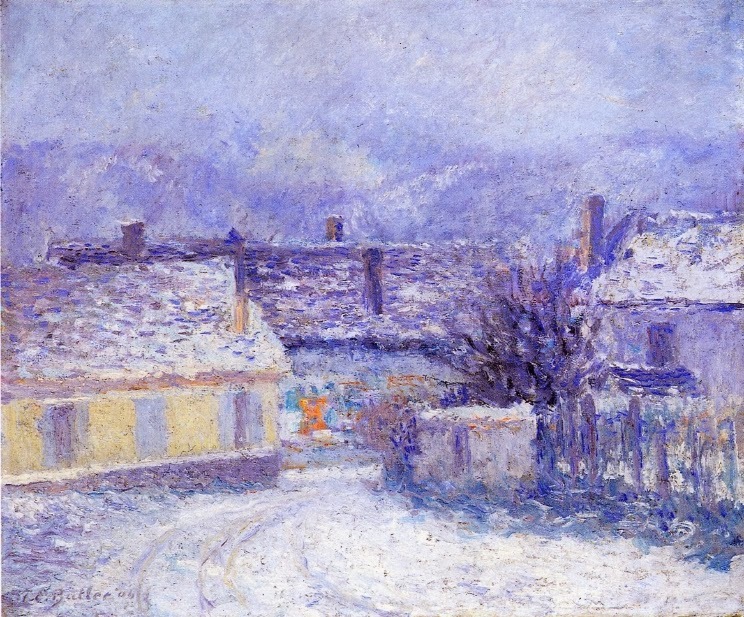 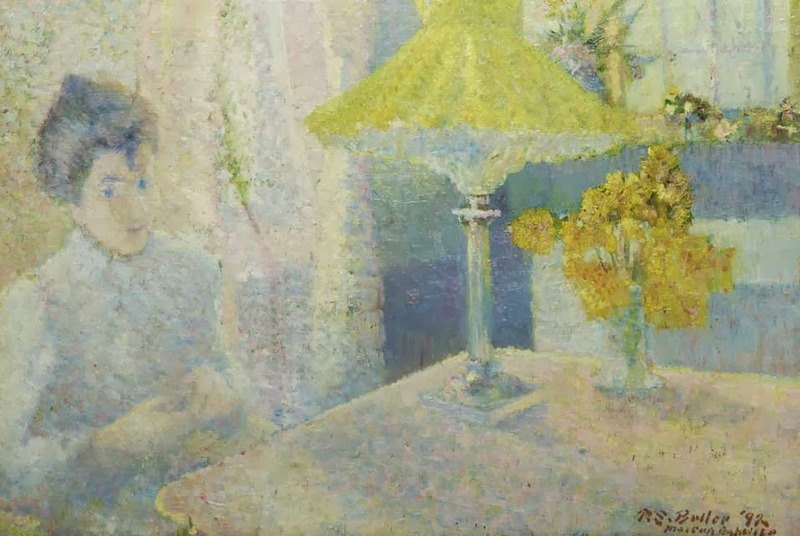 Initially inspired by Monet, who settled there in 1883, Butler sprung from the French painter’s high-keyed palette, developing his own technique and a style that forecasts elements of the Nabi movement: simple forms, pronounced contours, and flattened spatial effects. 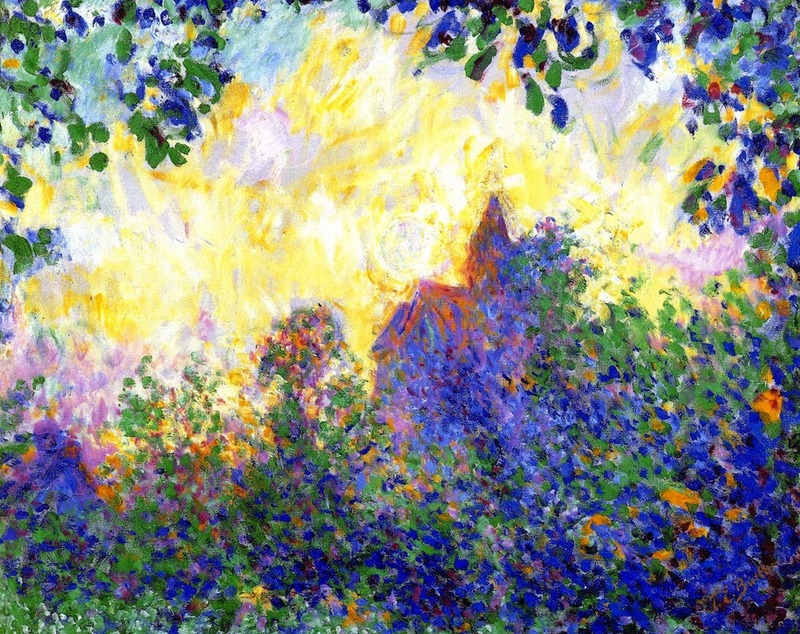 After becoming close friends with Claude Monet, Butler married Monet's stepdaughter, Suzanne Hoschedé in 1892. 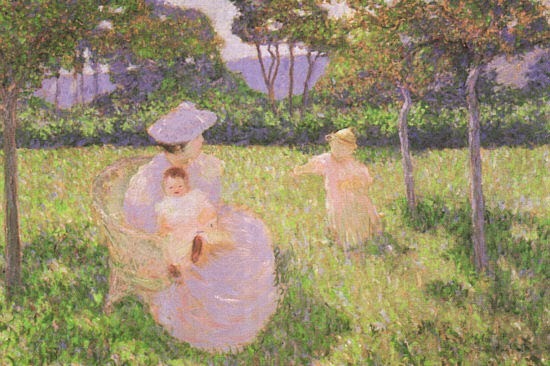 Suzanne is known as The woman with a Parasol and she was Claude Monet’s favorite model. 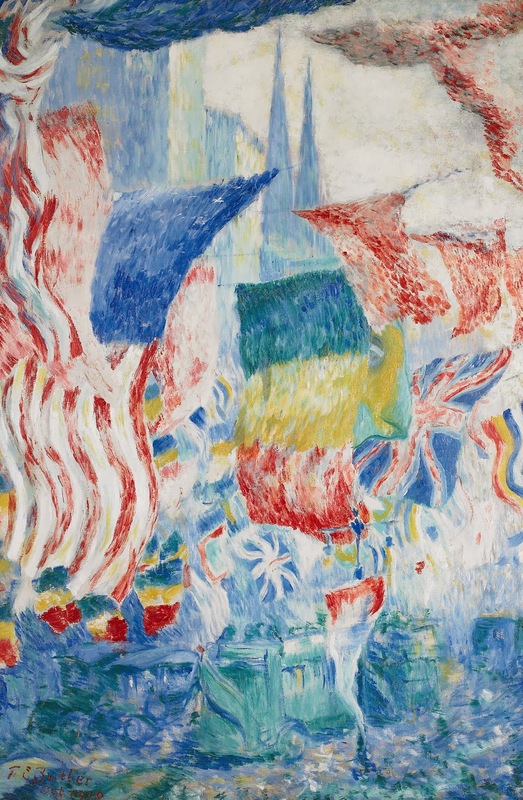 Still tied to Impressionist subject matter, Butler applied his own vivid, energy-charged brushwork, striking color, highly saturated pigment, and boldly executed compositions that anticipate the canvases of Matisse. 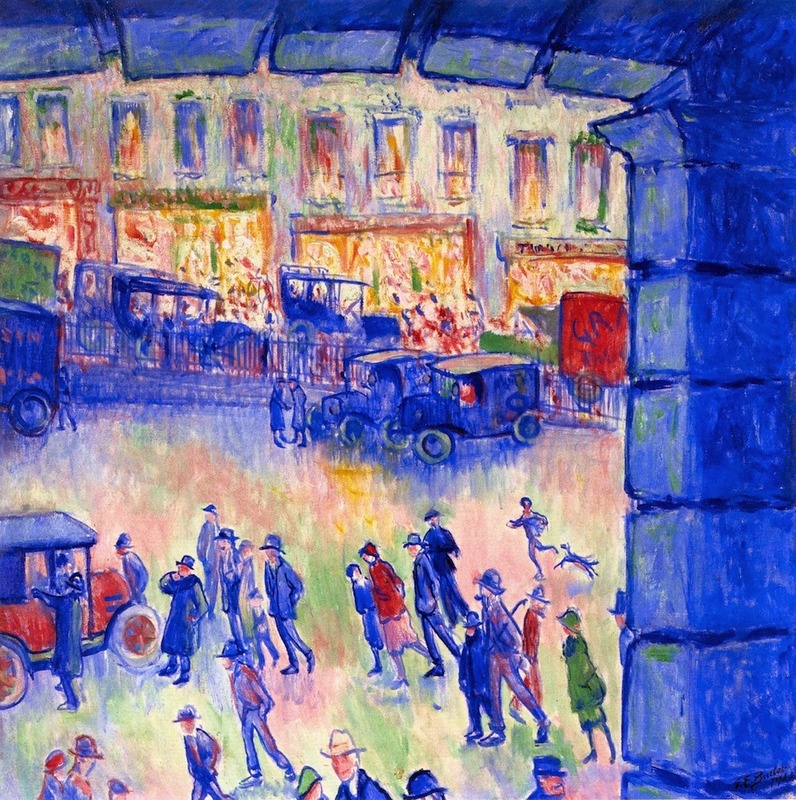 The prestigious Vollard Gallery hosted a one-man show for Butler in 1897. 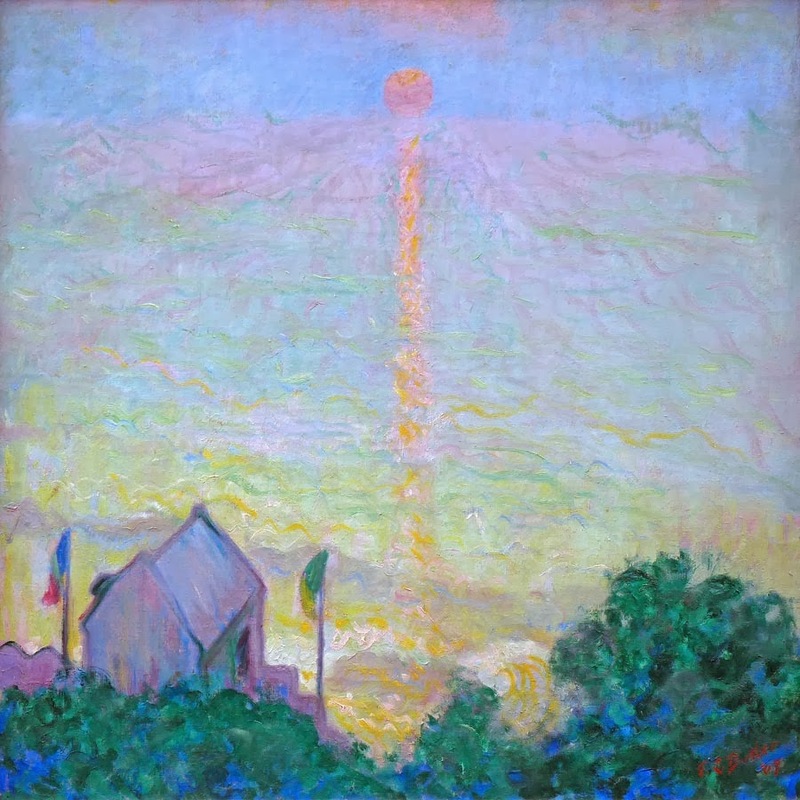 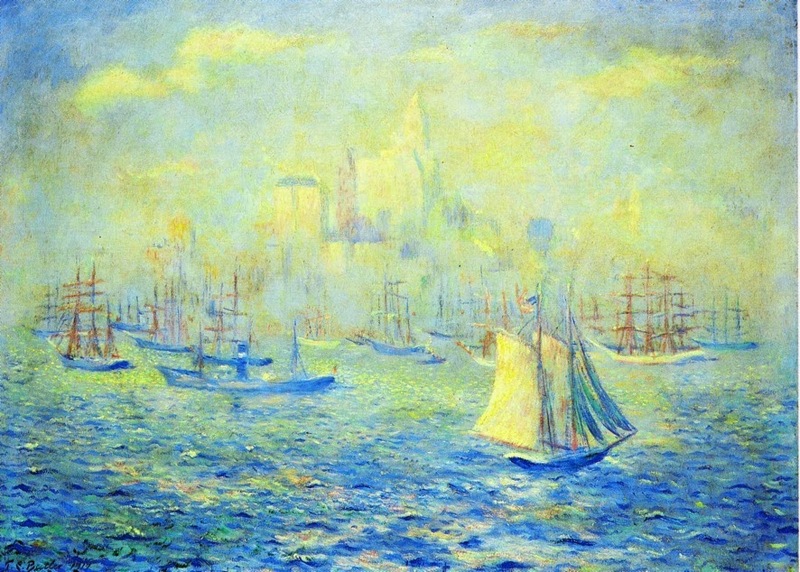 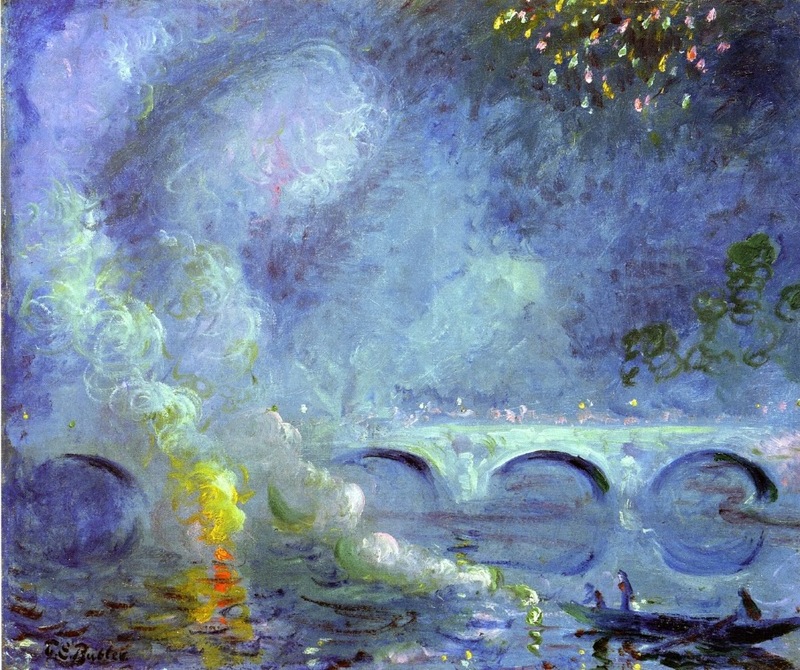 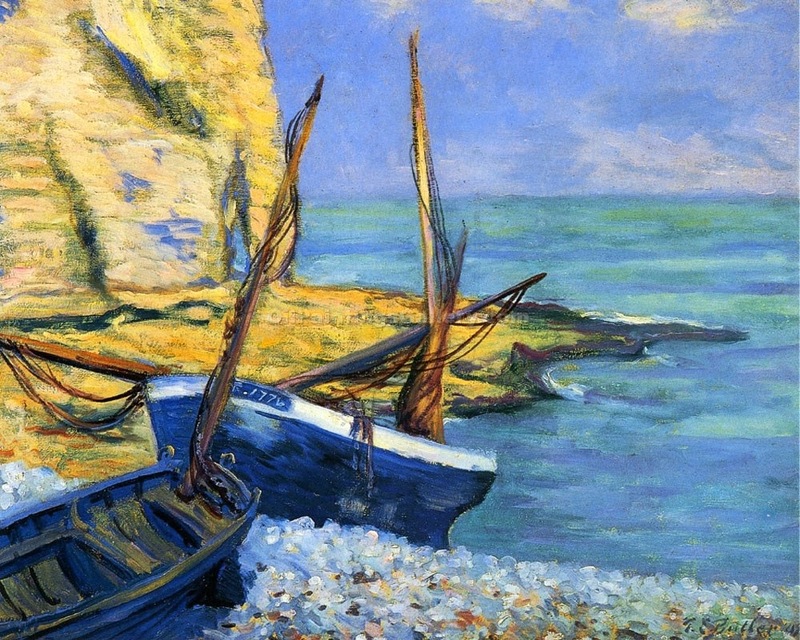 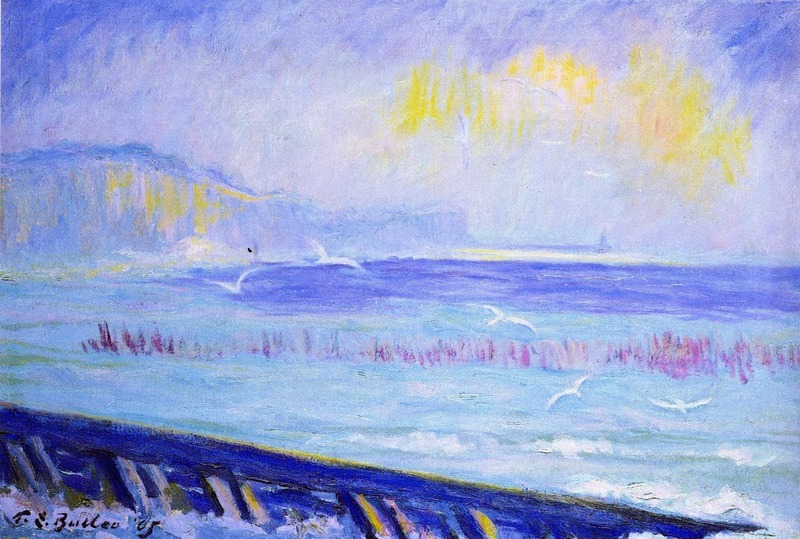 French critics, however, classified his art as imitative of Monet, as they joined in on the anti-American sentiment of the fin de siècle. 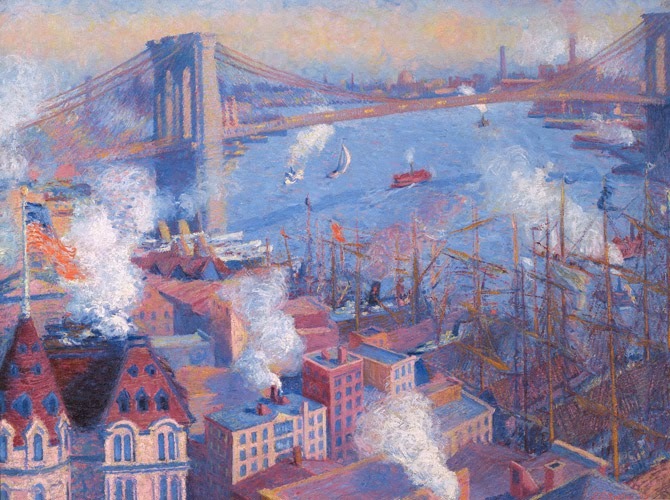 Butler then traveled to New York, where he executed his innovative and very well-received Brooklyn Bridge. 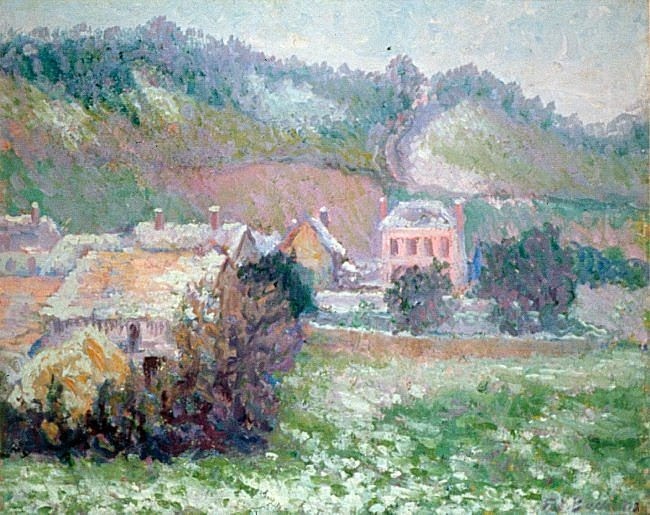 Henceforth, Butler turned from genre scenes to landscape painting. 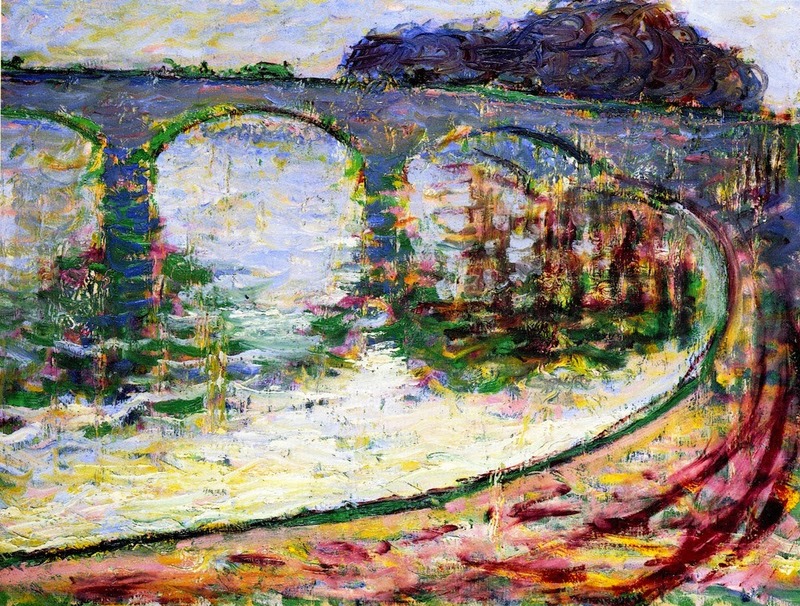 He expanded his virtuoso brushwork, Fauve-like color, fluid lines and abstract form. 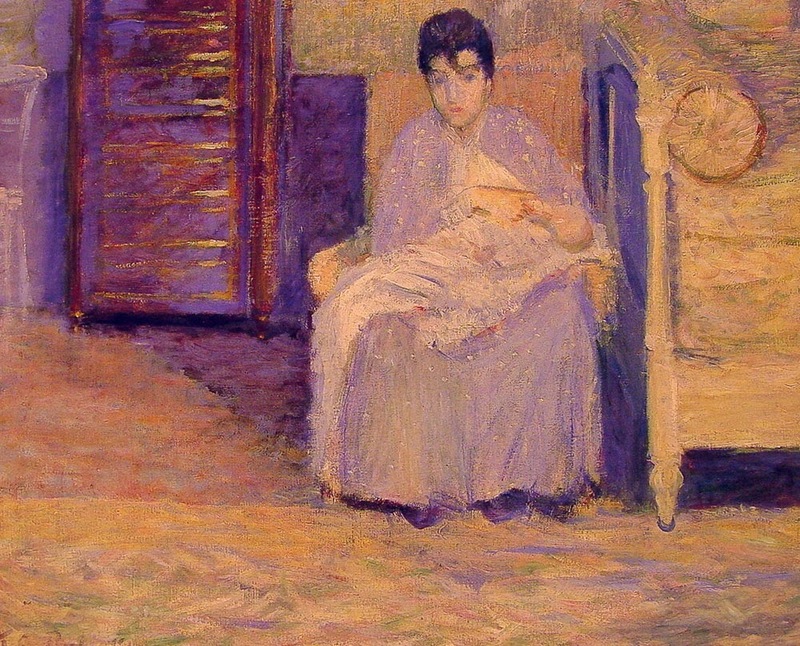 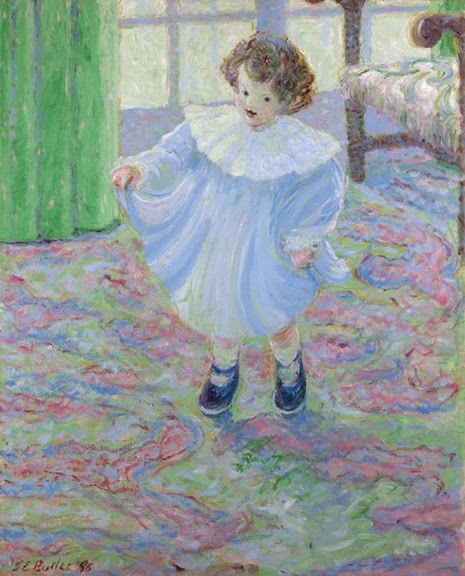 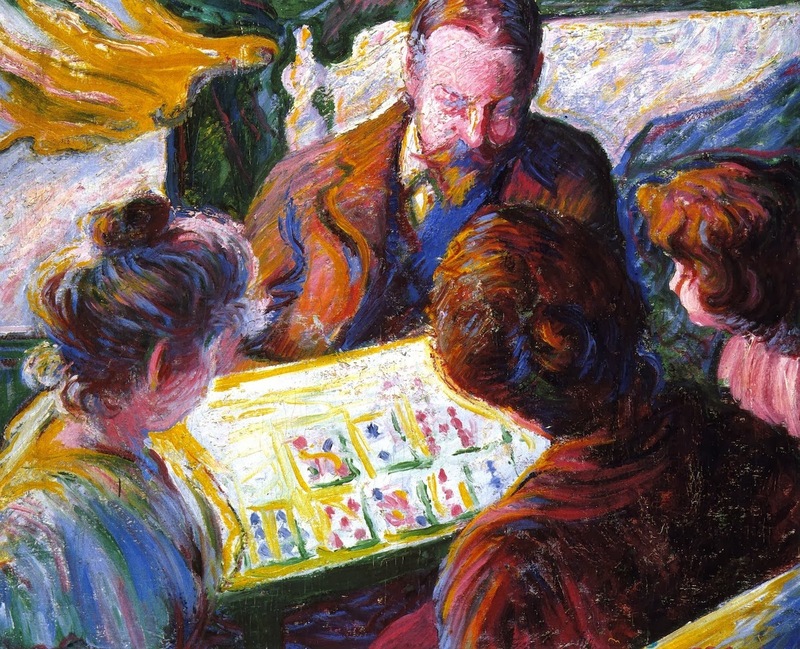 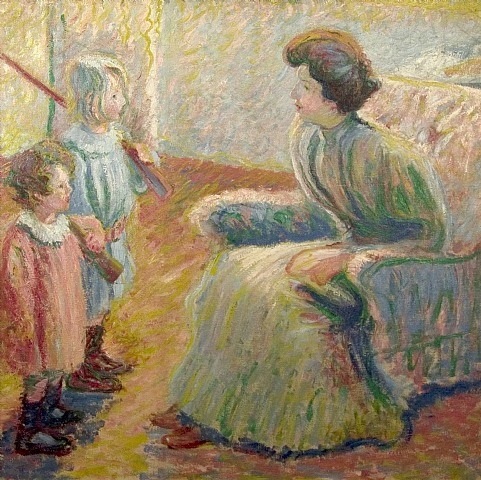 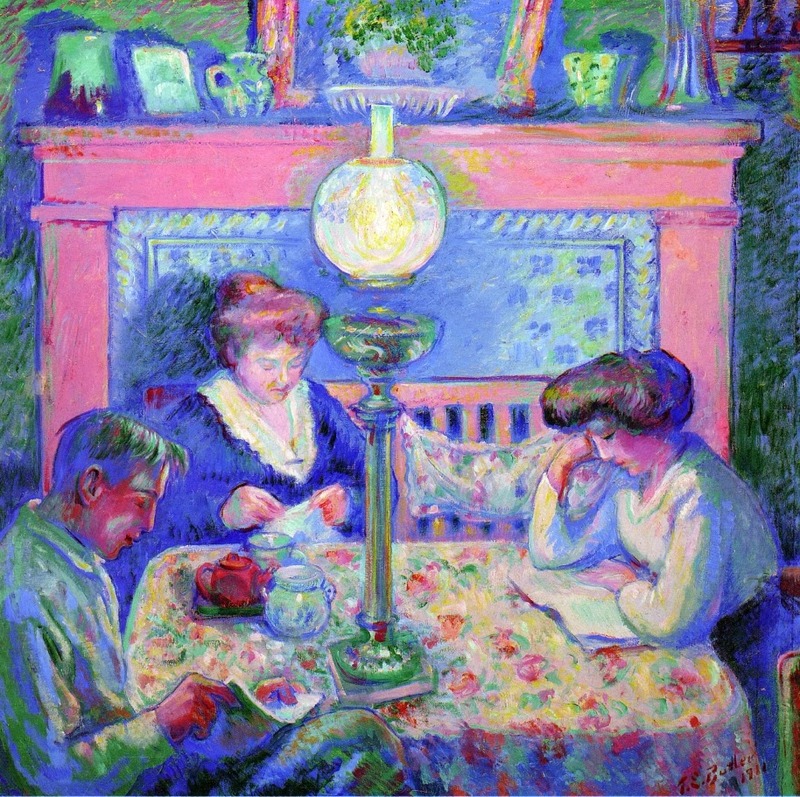 Butler participated in the Armory Show in Chicago in 1913 and the Panama-Pacific International Exhibition in San Francisco two years later. 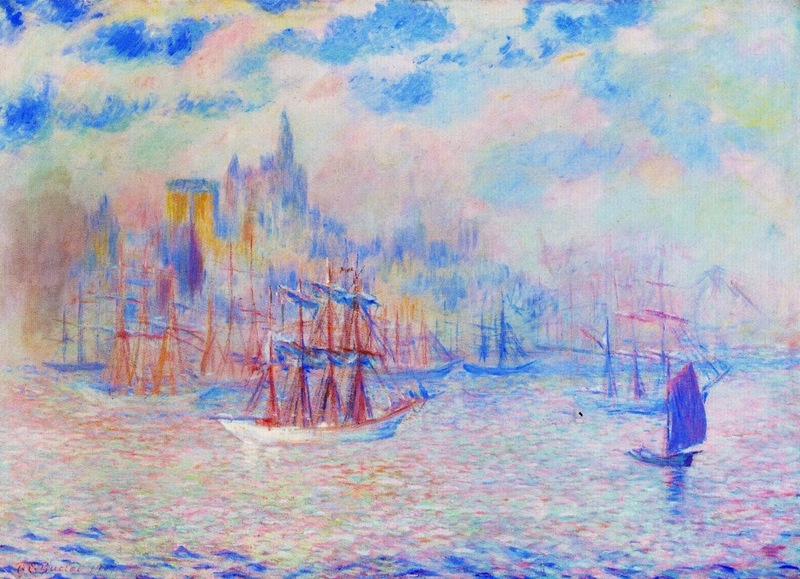 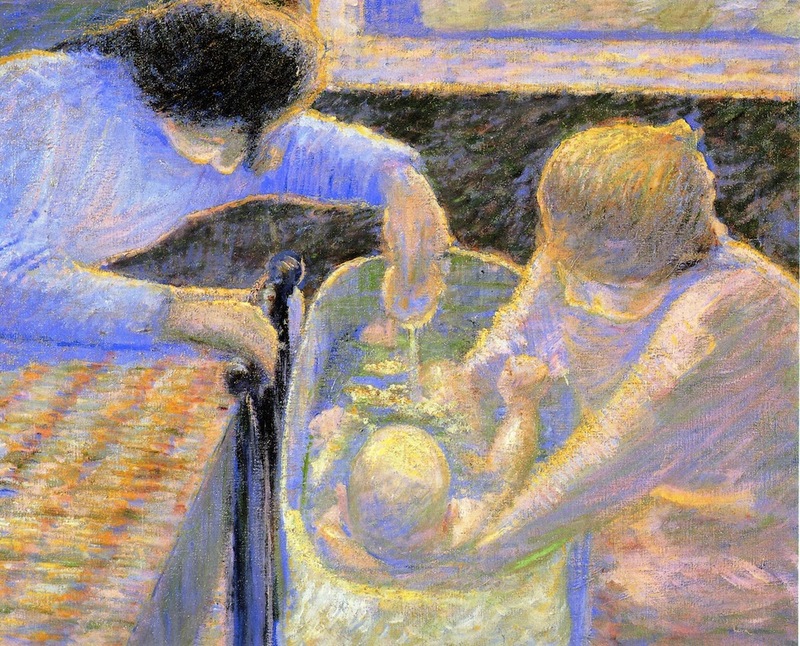 Limited exposure in America and anti-American sentiment in France prevented Butler from gaining the recognition commensurate with his pioneering achievements in art. 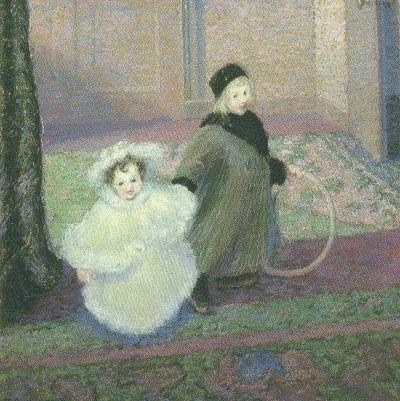 Great dealers such as Le Barc de Boutteville, Vollard, and Bernheim-Jeune recognized Butler’s innovations but French critics left him in the shadows of his celebrated father-in-law. 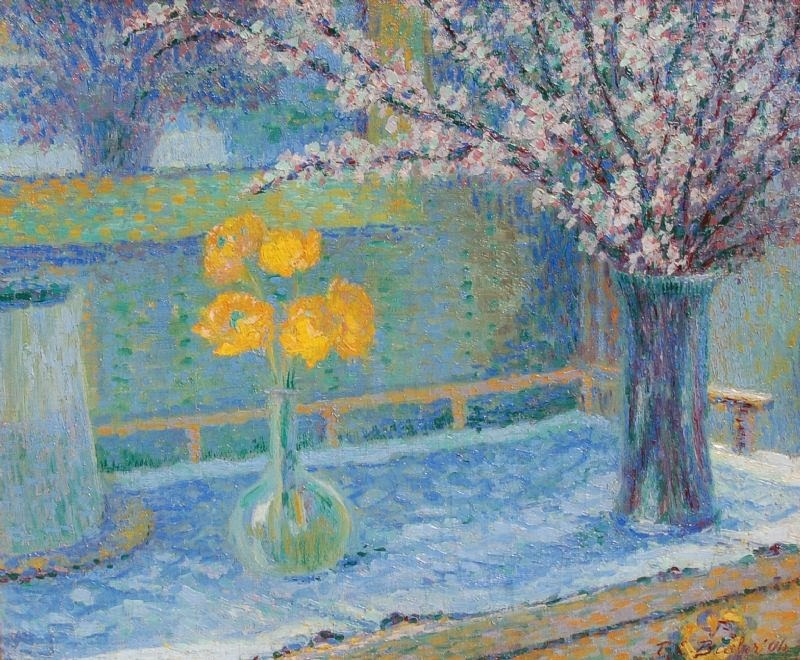 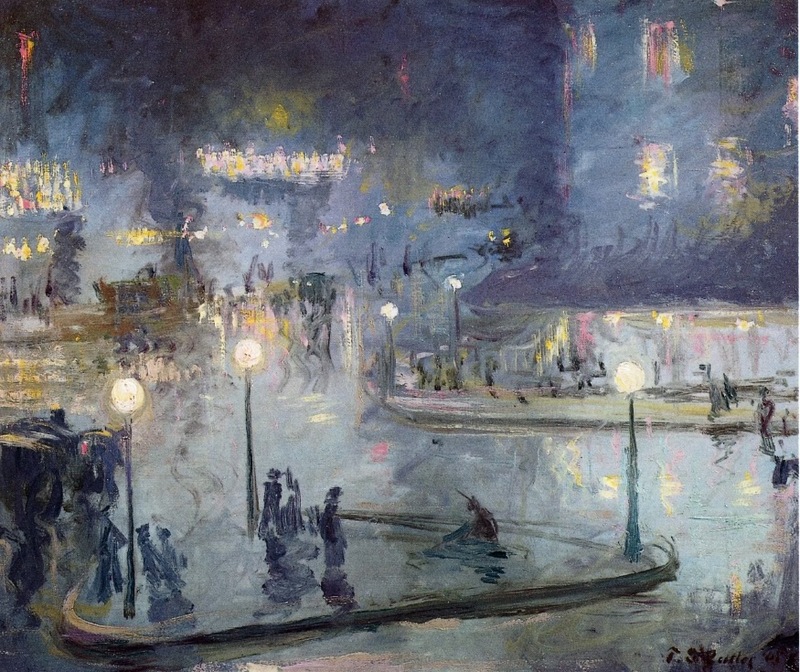 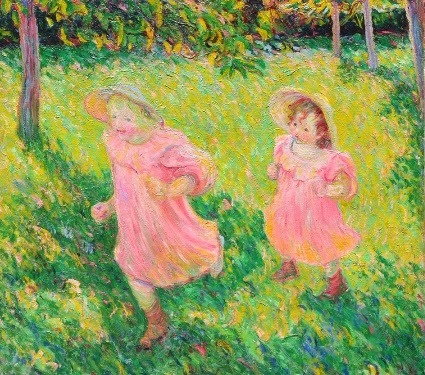 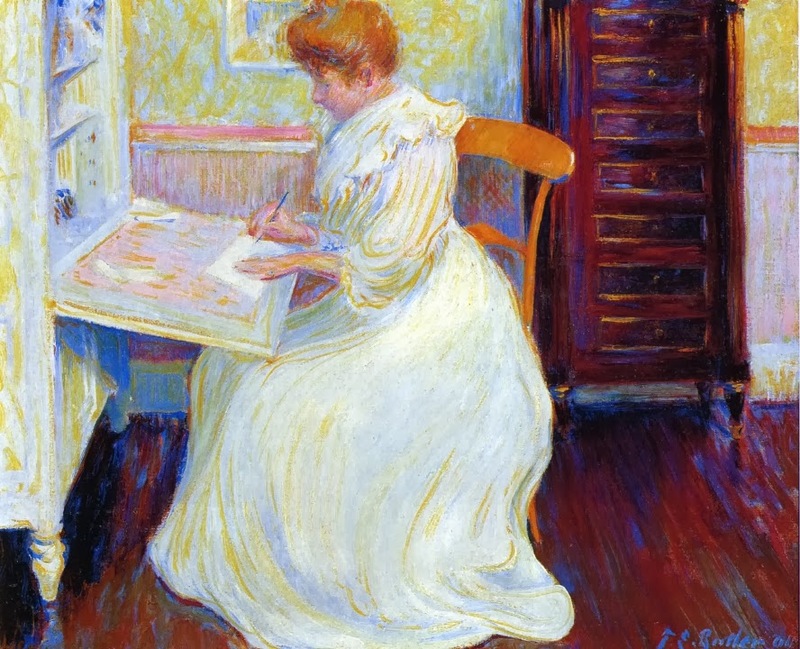 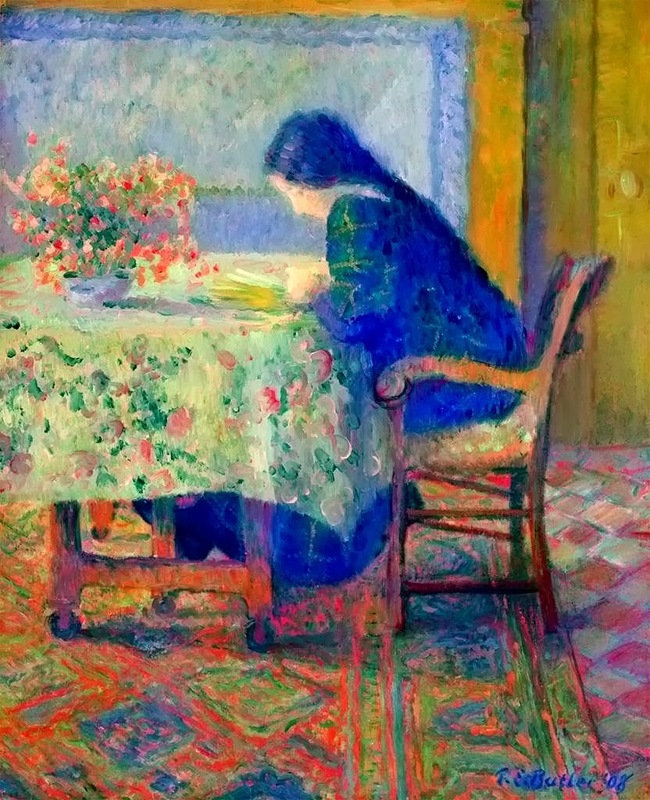 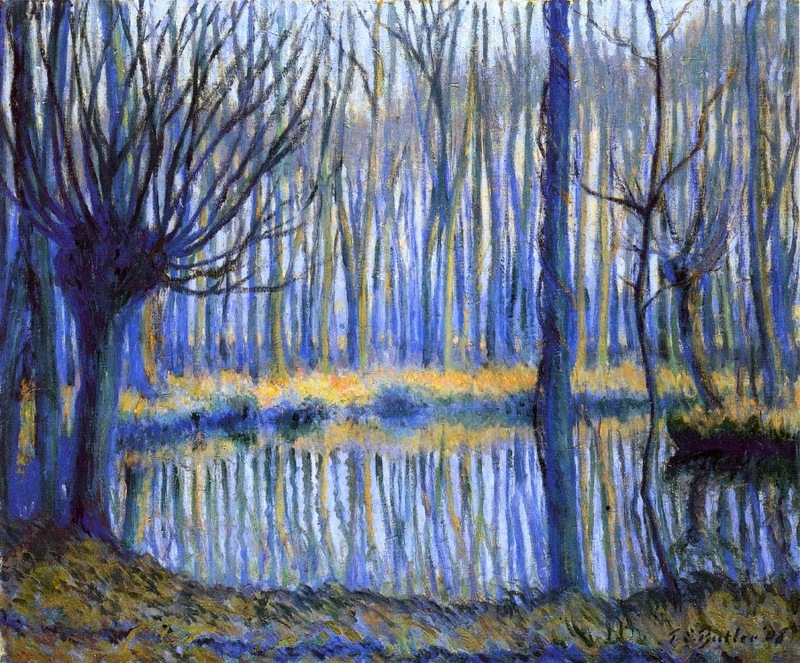 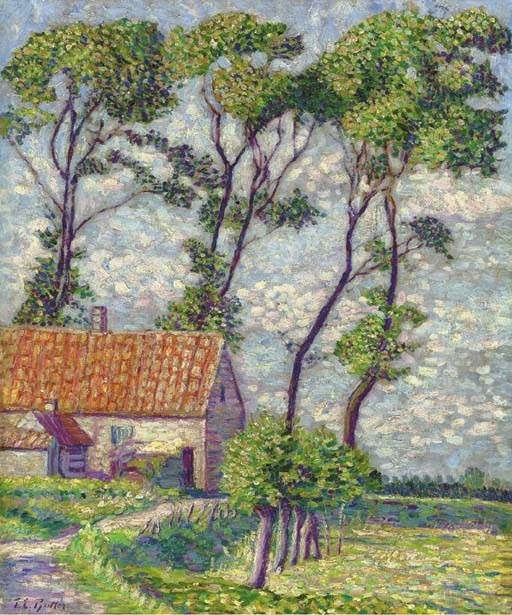 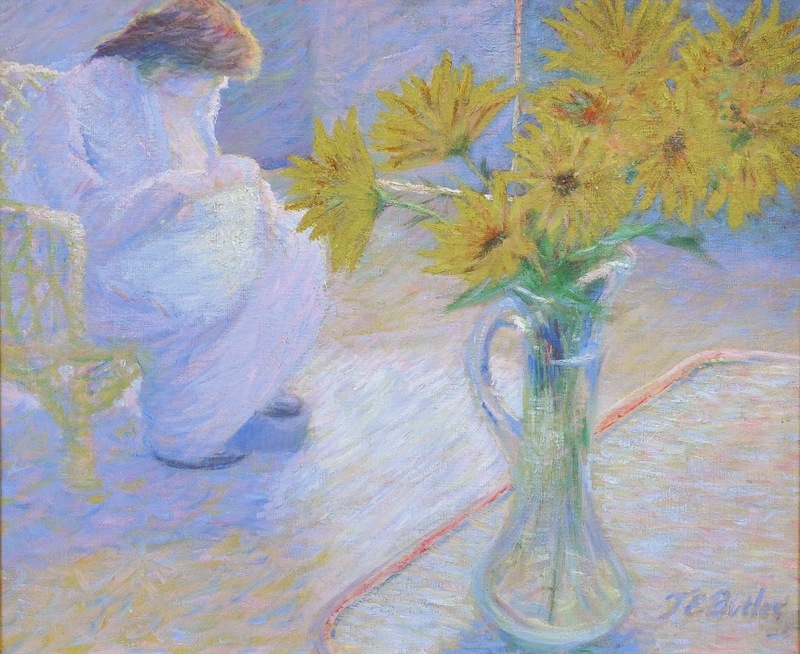 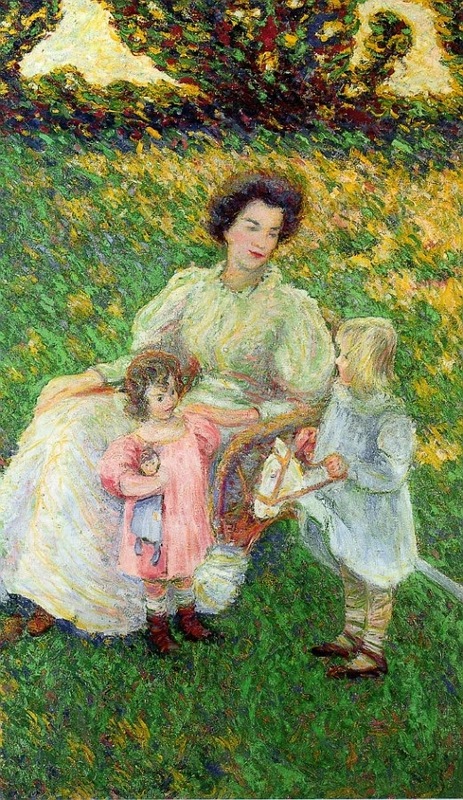 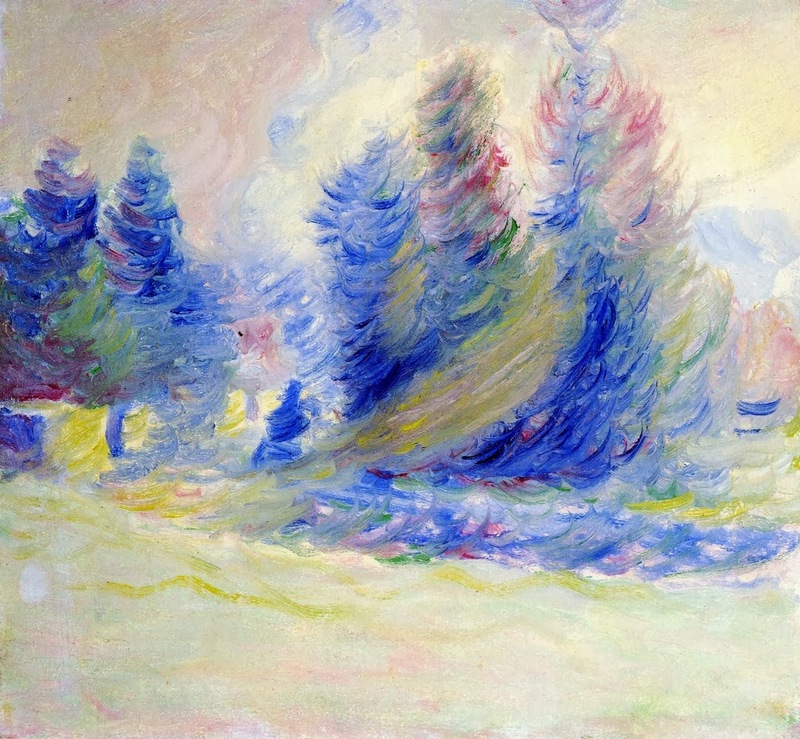 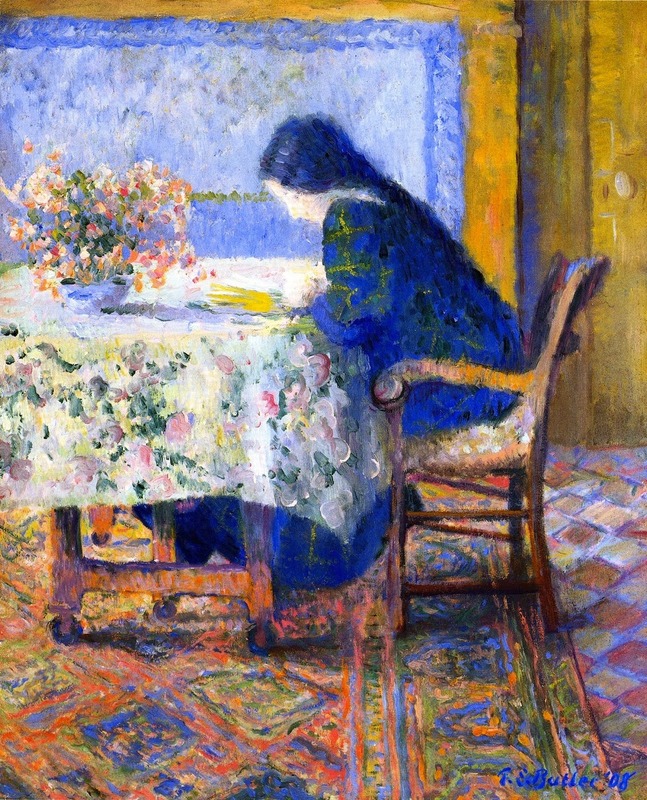 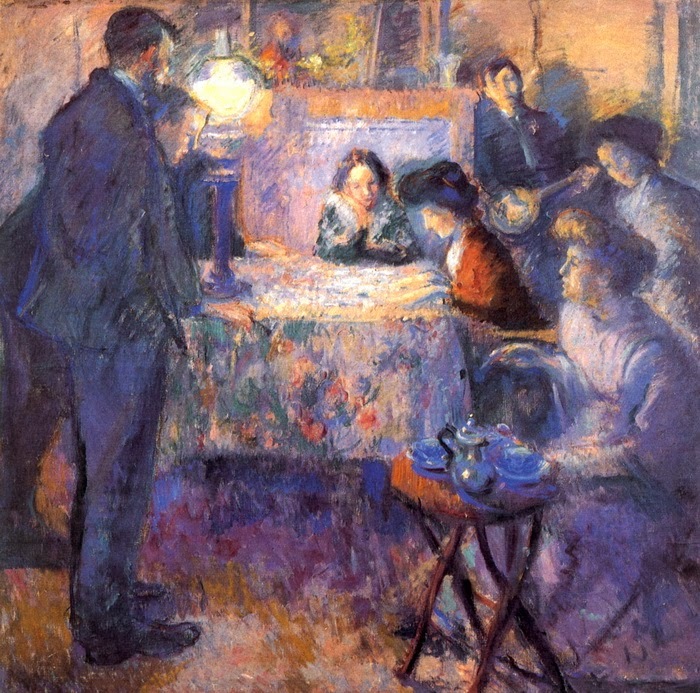 Butler, while remaining in Giverny, chose a more avant-garde path to become a leading American Post-Impressionist. 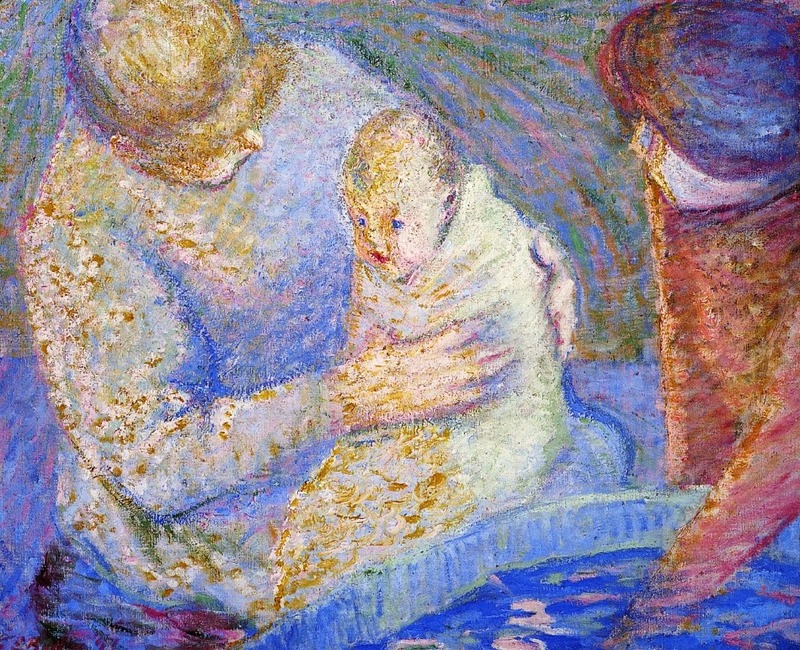 Only recently has his proper place in American art history been affirmed.